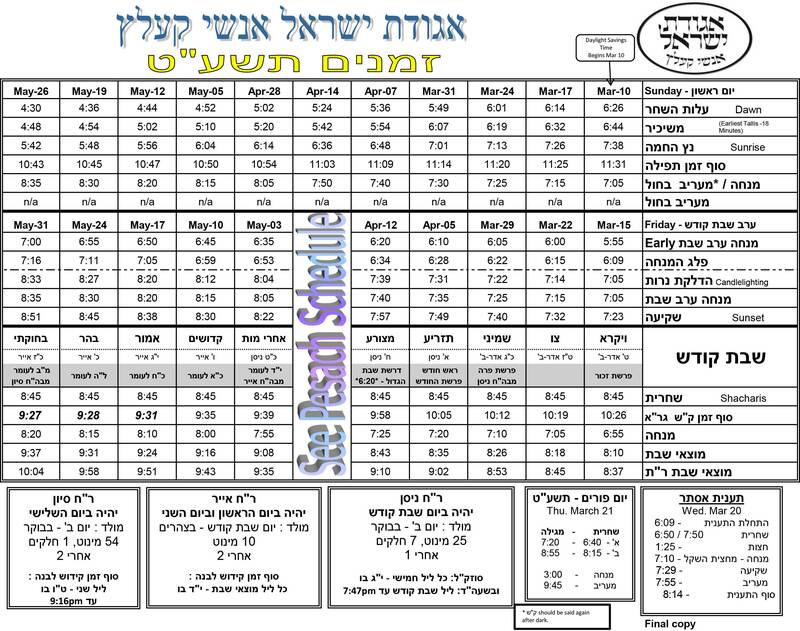 See "Shabbos Zmanim" for Sukos schedule or click on the link below. OUR HOLOCAUST SPEAKERS from Joely Parker Bernstein on Vimeo. Agudah South is pleased to introduce its redesigned website! To view the Online Schedule, please click here. Mazel Tov to Shimon & Judy Sturm and to Mrs Neuberger on the engagement of Hillel to Sarah Emmerich. May the Zivug be Oleh Yafeh, and may they see much nachas from them! Mazel Tov to Devorah and Yanky Solomon on their recent marriage! Mazel Tov to the parents, Rabbi & Rebetzin Kaufman & Mr. and Mrs. Aaron Solomon, and their entire families! Ari & Yehudit Hofstedter on the birth of a baby boy. Shragee & Didi Rosenzweig on the birth of a baby girl, Tzirel Glikel Martha Emma. Hillel & & Daniella Lichtenstien on the birth of a baby girl, Ariella Hinda. Aydel & Baruch Zlotnick on their recent marriage. Shabbos – 30 Minutes before Mincha. Shabbos – 50 Minutes before Mincha. Rabbi Kaufman – Mondays – 7:00 pm. Rabbi Kaufman – Thursdays – 8:00 pm or after Mincha / Maariv. 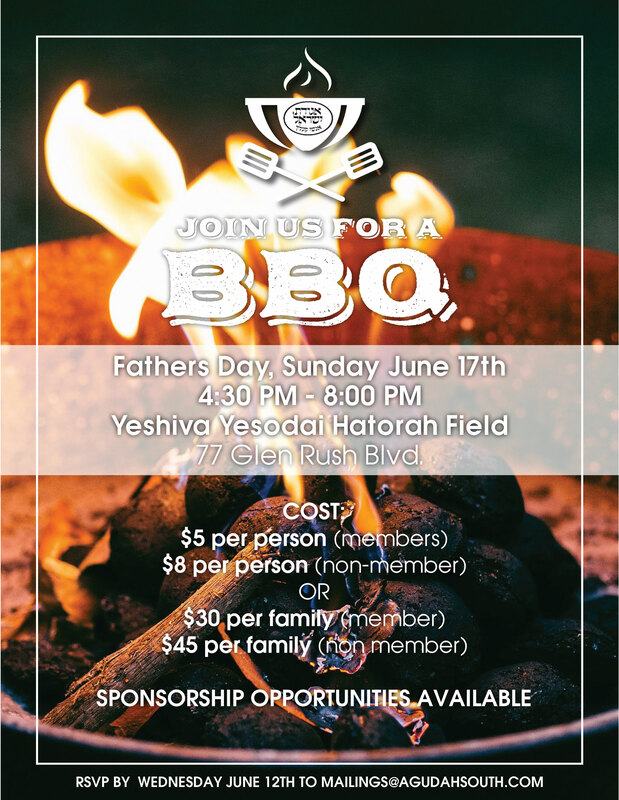 Join the Shul Mailing List! Join the Shul Mailing list to get the Zmanim emailed to you every week as well as staying informed of important things happening in the Shul and in the Community.